In the early summer of 2018 I took a short break and tied the knot in our favourite city, Copenhagen. If you haven’t been, go, it’s amazing. Once we had sent the family back to the UK and started our journey as husband and wife we had a mini-moon in the swedish city over the bridge called Malmo. Why am I telling you this you may think? Well, walking around the shops and always inquisitive I stumbled upon some fantastic little places and it clicked in my mind, there’s so many of these locally in Leicestershire, why not share the ones I know. Formally known as Studio NL based at The Manor in Tur Langton this inspiring store runs The Hustle, a meet up for creatives to get together over a coffee and talk about our ventures, wins, highs and lows. I have been to a few of the Hustle’s and they’re great, very inspiring and great to find out more about our local businesses. With a huge collection of their handmade clothes (especially their I’m Only Human Tees They have some beautiful products from other makers. Ok, this has to be the most beautiful shop in Leicester city centre! Harriman & Co. owners Drew & James have a true eye for amazing products and everytime I visit their store, I always feel at home. Their collection of products ranging from postcards to lighting and the welcoming atmosphere oozing out the front door will never make you want to leave. One weekend I was in Market Harborough and stumbled across Bagel & Griff, what a store! Having visited them a couple of times I found the team so welcoming and their choice of products is fantastic. With the soothing scent of candles in the air, you could spend hours just looking at their products. A place that is always close to my heart is Lutterworth. Having grown up in this little farm town, surrounded by independants once again, they’re thriving. Velvet interiors is ran by Monika and she’s just started selling coffee and cake from the store. Both are amazing and combined with her lovely collection of homewares Velvet is well worth a visit. 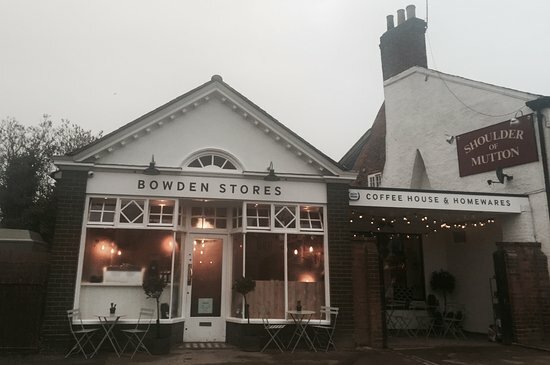 Last but definitely not least, Bowden stores is somewhere to lose yourself. With a fantastic choice of homewares, if ever you get stuck for a gift, this is the place to go. Serving food all day as well, why not make a day of it and stop for lunch. They have some of the best pizzas around and Their food is all cooked straight from the heart. If you fancy doing something different they hold various events from Flower arranging to Macrame workshops, keep an eye on their social media to find out more. With all these stores, don’t forget to follow them on Instagram and Facebook to see all their upcoming promotions, events and news. Posted 8 months ago by Joel LaRosa in Blog.